When surface space is at a premium, use the mantelpiece as you would a bookshelf or window ledge. In this living room with floor-to-ceiling windows, vases mingle with framed photographs above the fireplace. 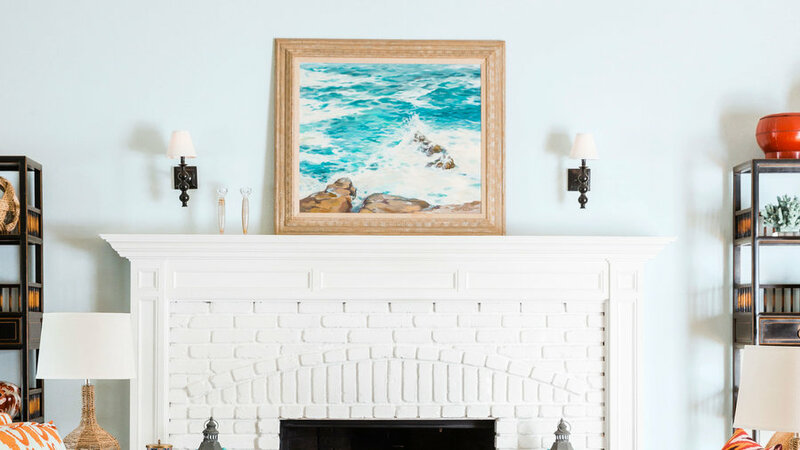 Showcase favorite artwork and keepsakes on the most prominent real estate in the living room. 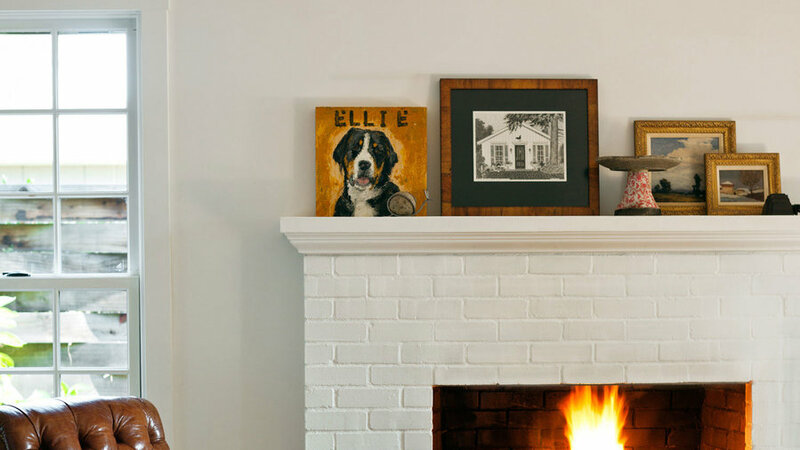 Here, a pet portrait and historic home photograph sit with small framed landscape paintings and stoneware. Instead of using a display shelf, congregate collections on the mantel. Here, charcoal paint and gold leafing create a display platform for collections of white ceramics and volumes of colorful books. 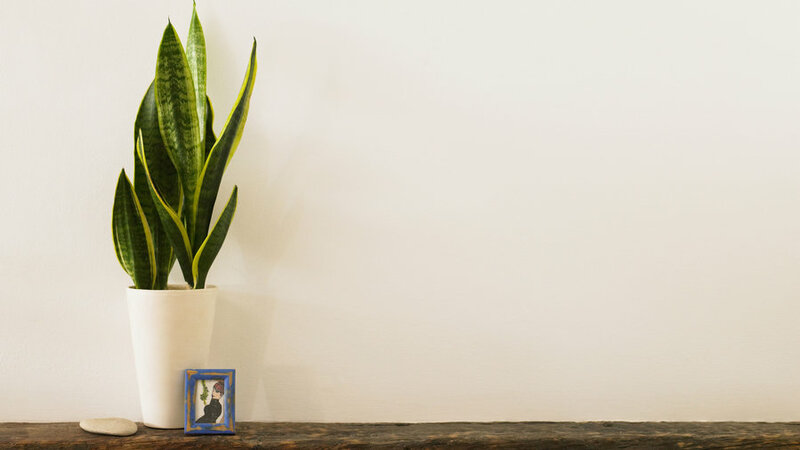 Arrange season-specific decor on your manteltop for an artistic vignette your holiday guests will covet. 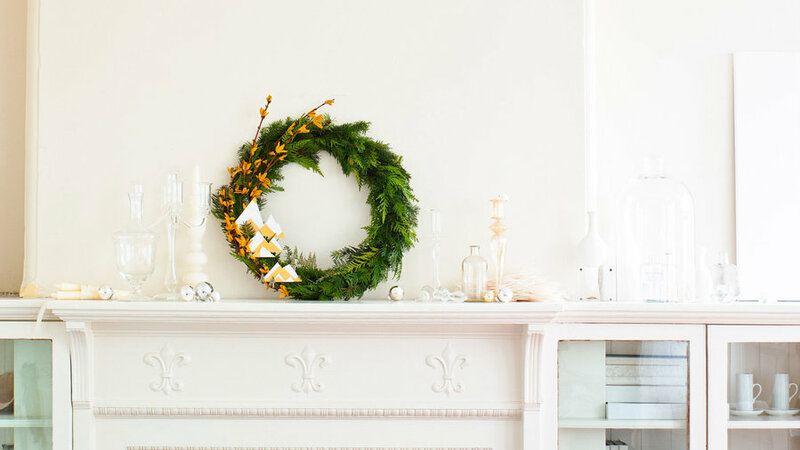 Here, a collection of glassware and ball ornaments compliment an evergreen wreath propped against the wall. No mantel? No problem. 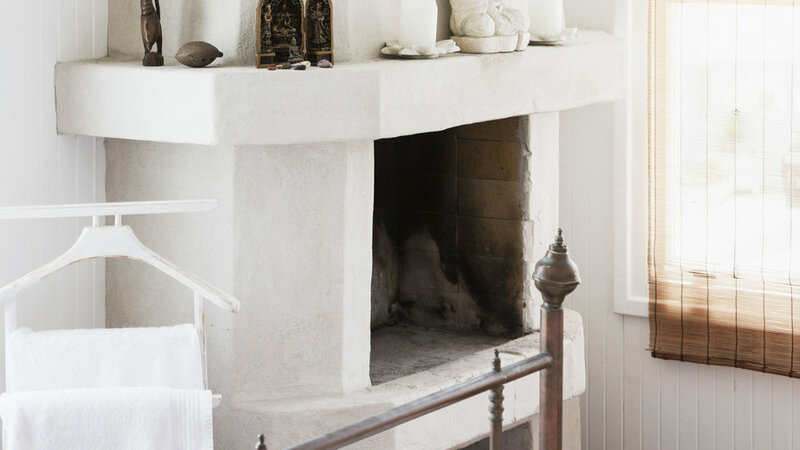 Add a mantel ledge to an existing fireplace. On this floating shelf of a mantel, heirloom and global finds blend for an eclectic look. If you're blessed with a fireplace in your master bedroom, arrange objects that encourage peace and tranquility on the mantel ledge. 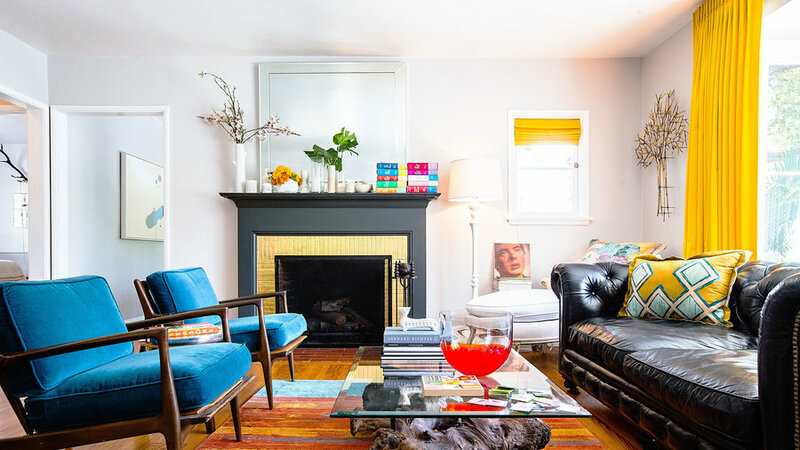 Go further: Paint the fireplace the same hue as your walls so the fireplace and mantel don't interrupt the flow of the space. Here, white keeps the space—and mood—light. 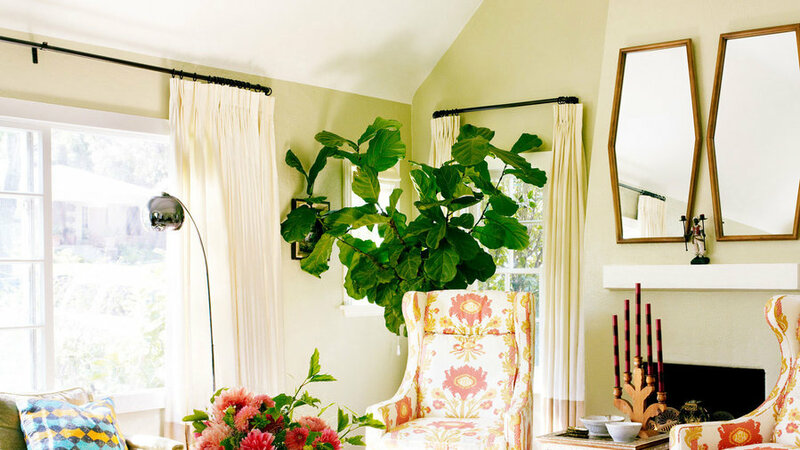 Displaying a large mirror (or multiple) helps a small space live large. 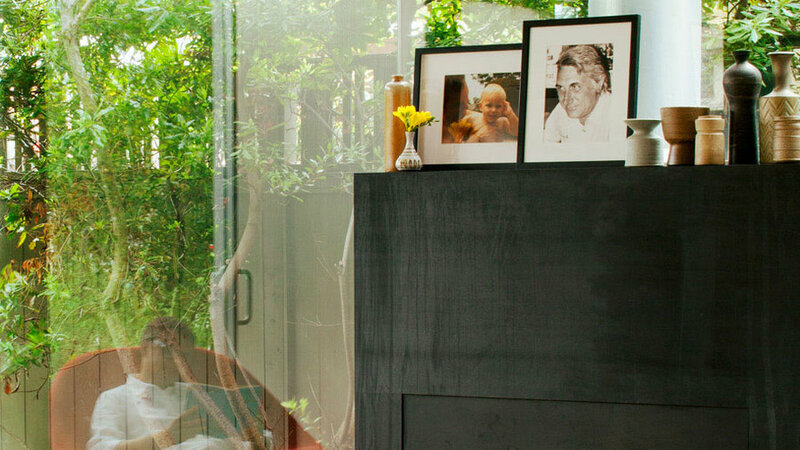 Here, large twin mirrors fill the tall wall space above the mantel and serve double duty as both space expanders and art. 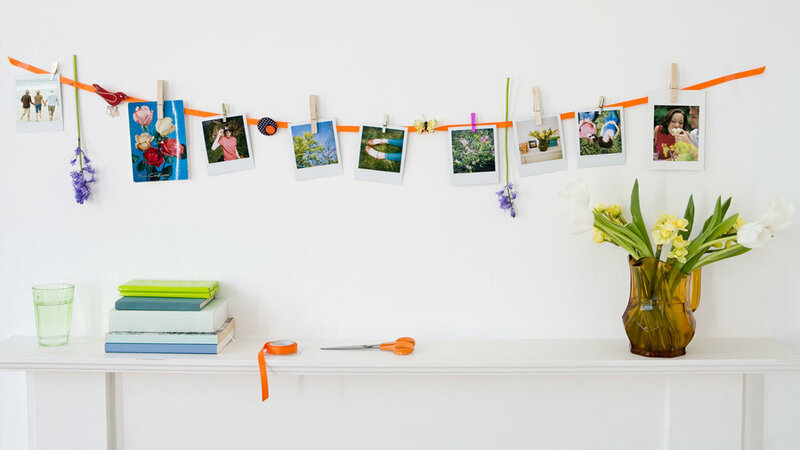 For quick and transient decoration—for a birthday party, celebration, or holiday—tack a piece of ribbon above the mantel with strong (but removable) double-sided tape and affix lightweight photos and memorabilia with accents from your garden. Install wall-mounted lighting above far sides of the mantel top and prop or hang statement artwork center stage. Switch out artwork with the seasons or as desired. Keep it simple with a trio of objects: a tall pant, a framed piece of art, and a memento.